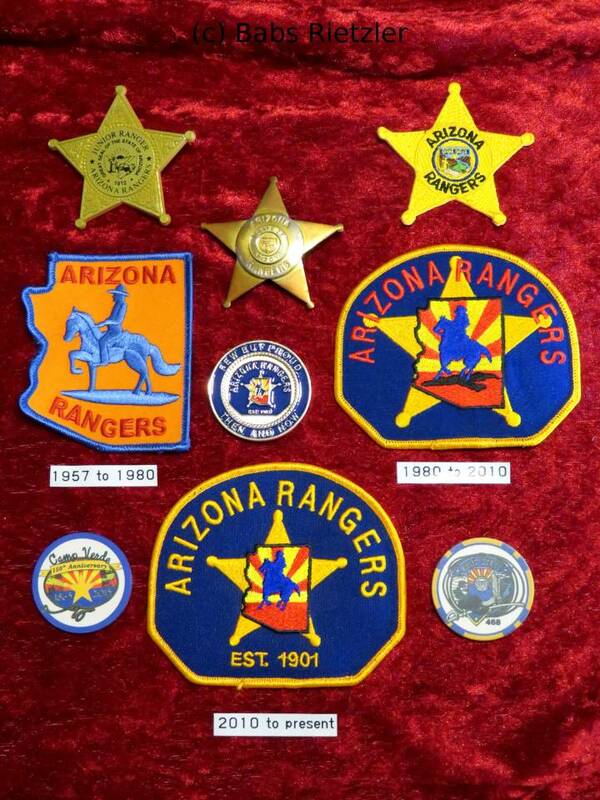 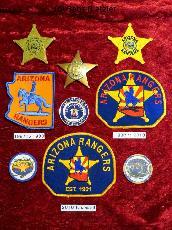 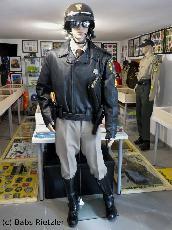 Arizona Rangers display - The present-day Arizona Rangers are an unpaid, all-volunteer, LE support and assistance civilian auxiliary police in the state of AZ. John McCarthy rose to power in 1978 when he won the election for Sheriff against incumbent Ralph Lamb. 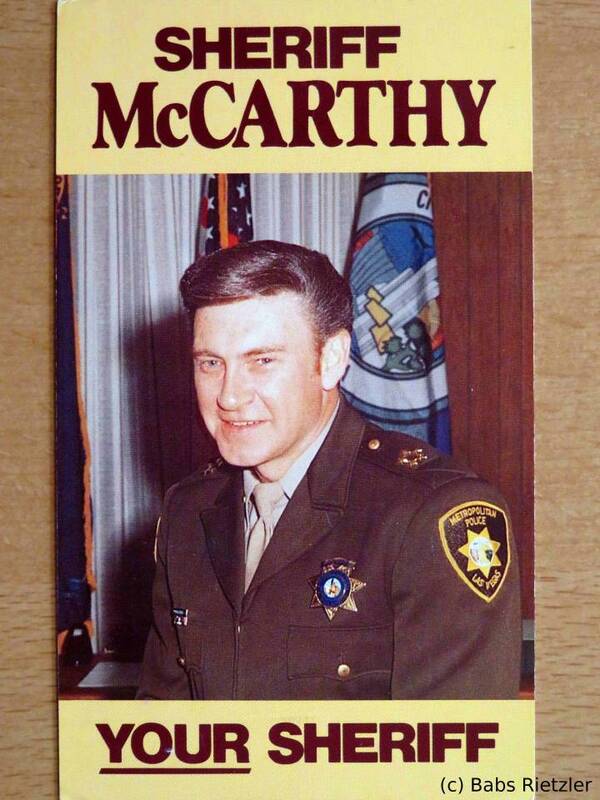 McCarthy was the Sheriff in Clark County from 1979 to 1982, when he lost the race to the late John Moran at the end of his first term. 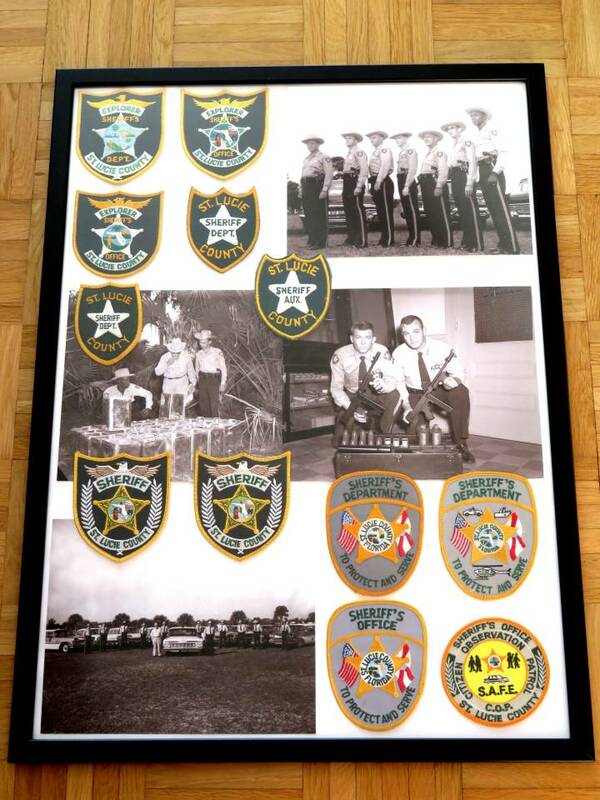 St. Lucie Co. 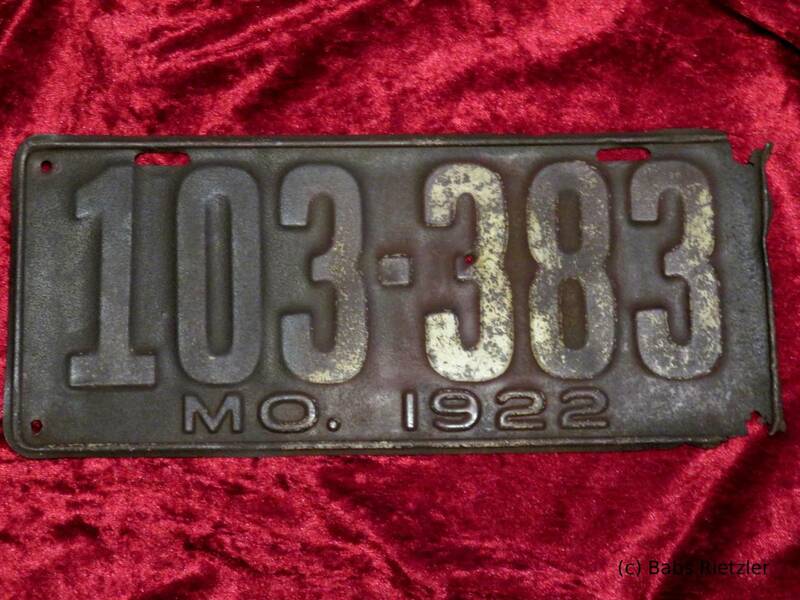 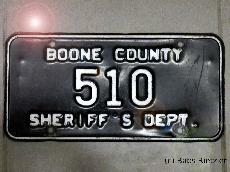 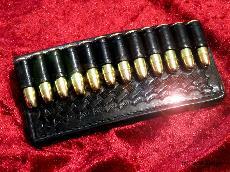 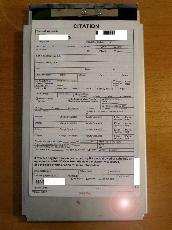 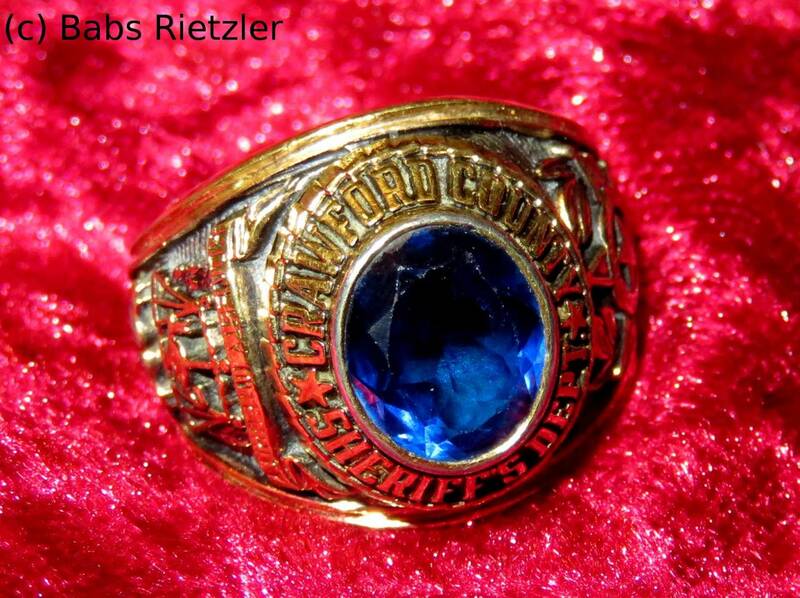 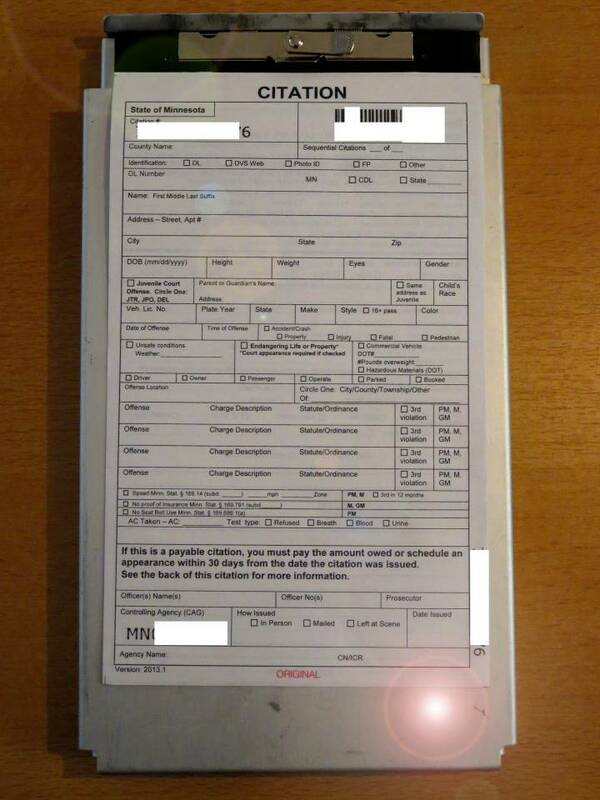 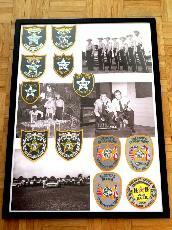 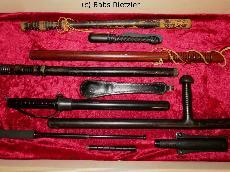 SO display - The SLCSO was created in 1905. 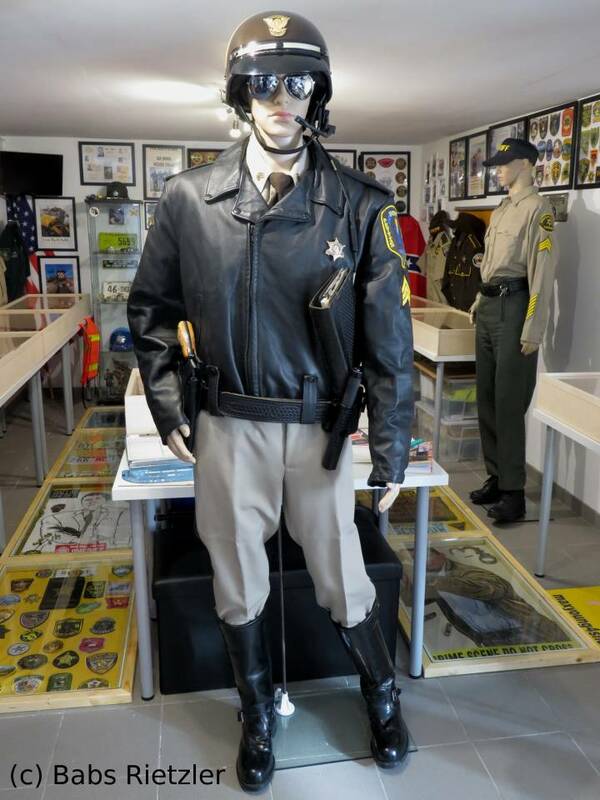 The first black deputy joined the SO in 1954, and the first female deputy was hired in 1975. 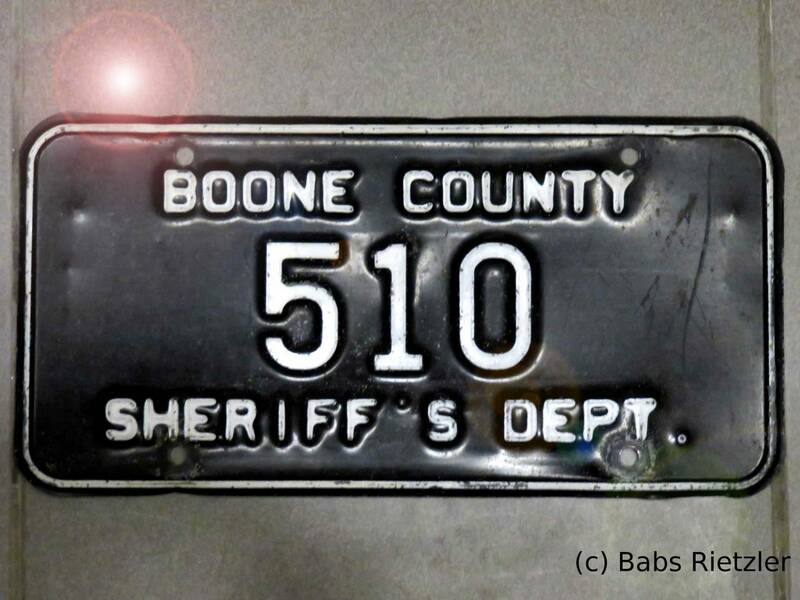 Agency growth continued from 38 employees in 1967 to 700 in 2016. 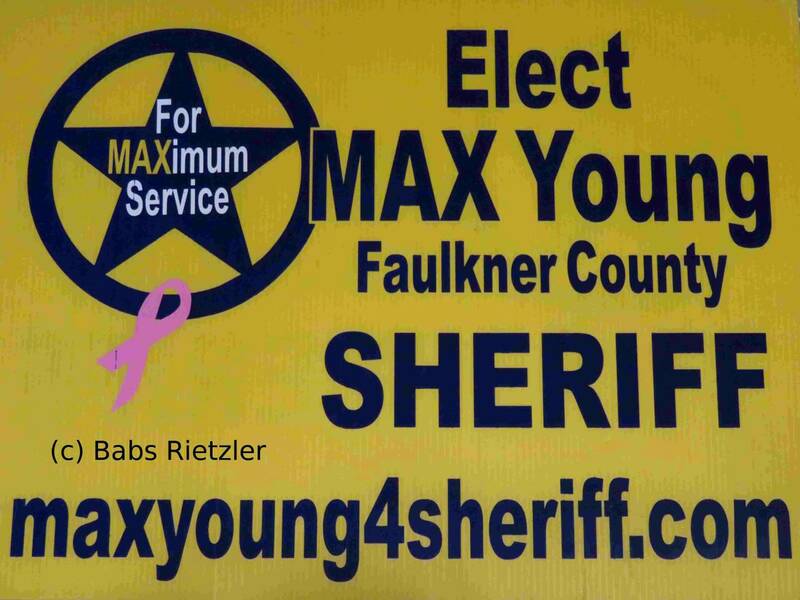 Sept.16th, 2012: Max Young, a veteran LE officer for 38 years, has announced his candidacy for Faulkner County Sheriff (AR). 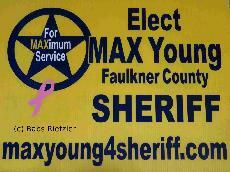 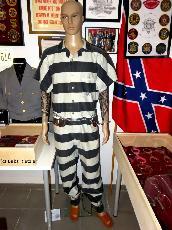 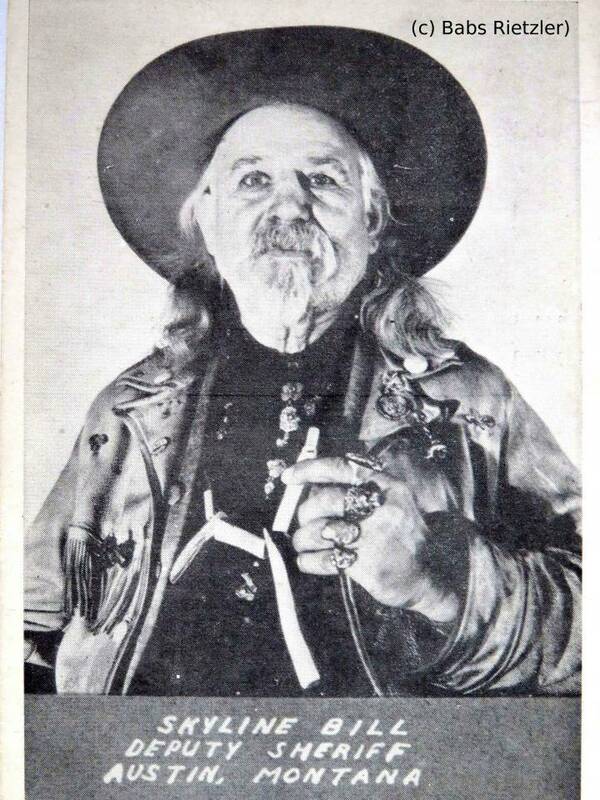 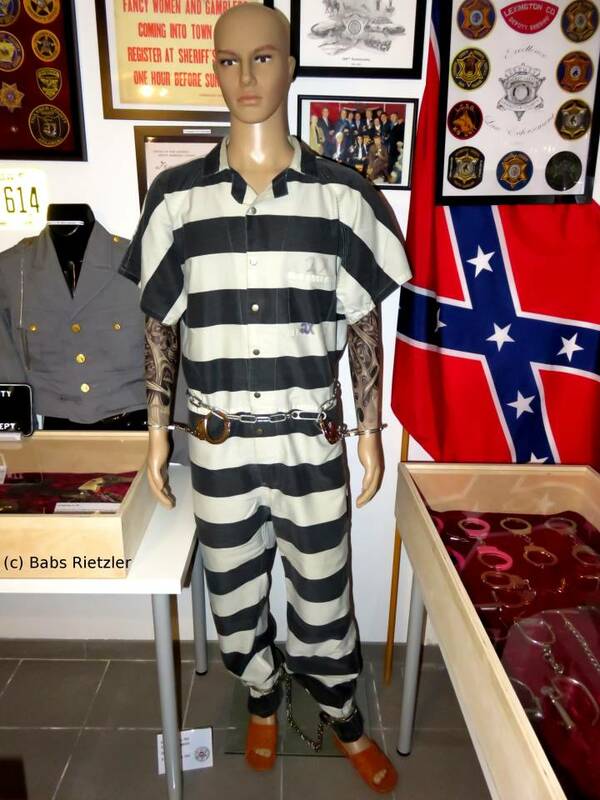 One of his election signs is displayed in the U.S. Sheriff's Museum. 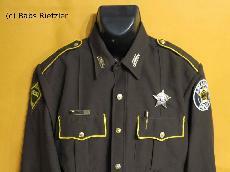 Arkansas Sheriffs Association uniform shirt - The Arkansas Sheriffs' Association Honor Guard is an organization made up of deputies from all over AR who have volunteered their time to serve as stewards to LE functions throughout the State. These deputies bringing a formal sense of unity from LE officers to funerals of deceased officers, LE graduations and various other events.